Last year, I told you about Coro Hispano's annual concert. This year is no different. 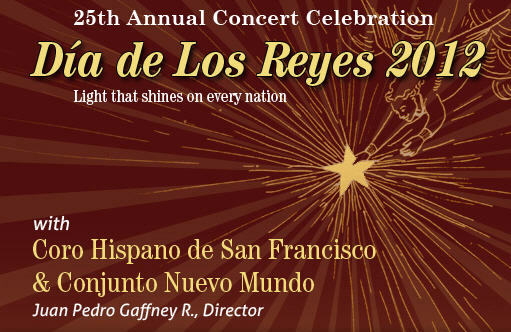 In fact, this year they are celebrating 25th annual concert celebration in honor of Día de los Reyes. This weekend, if you are anywhere in the area, I hope you make time to attend. Their performances take place on Friday, Saturday, and Sunday. Admission is free on Friday and Saturday, and the latter's performance is a concert created specifically for children. You can find more information on their website.